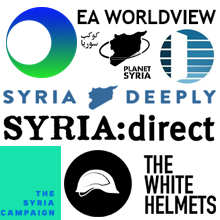 On Wednesday, two dozen Syrian civil society organisations from inside and outside of Syria delivered a joint letter to US Secretary of State John Kerry, UK Foreign Secretary Philip Hammond and French Foreign Minister Laurent Fabius calling on world leaders to take concrete action to protect innocent civilians in Syria and uphold international humanitarian law, including by breaking the sieges across Syria through the delivery of airdrops. The full text of the letter, which was delivered in advance of the ISSG meeting in Munich, can be found below. We write to you on behalf of 24 Syrian civil society organizations and humanitarian aid groups, who together provide millions of Syrians with life-saving assistance. Many of our representatives were present at the London Donor’s Conference for Syria, and we welcome the generous commitments the United States, the United Kingdom and France have made to the Syrian people. But humanitarian assistance cannot be a substitute for the action needed to stop the bloodshed. Syrians need more than your generosity: we need civilian protection. Our people are being annihilated. Every month, more than 600 civilians are killed by indiscriminate airstrikes by either Russia or the Syrian regime. Every week, more than one million Syrians live under siege, with the denial of food, water and medical care being used as a weapon of war. Every day, more innocent civilians are detained, imprisoned and tortured. Our members have died digging bodies out of the rubble. We have been targeted delivering aid across borders and across conflict lines. And we have risked everything to document, monitor and demand an end to war crimes, by all parties on all sides of the conflict. But for all of our efforts, we cannot solve the crisis in Syria on our own. We cannot stop the barrel bombs from falling, break the sieges that starve our civilians, or stop Russia from aiding and abetting a brutal dictator. But you can. With the necessary political will and determination, you can protect our civilians, bring aid to those who need it, and generate the political pressure needed to bring about a political solution in Geneva. We understand that you cannot solve the crisis in Syria on your own. But we ask you to look within yourselves and answer this question: is there truly nothing more that your respective nations can do to save and protect the lives of our people? We believe there is. communities, including airdrops. As a first step, the United States and anti-ISIS coalition countries should heed the Under-Secretary-General’s appeal and airdrop aid so that civilians get the assistance they need. It's not a perfect solution. But perhaps using airdrops smartly would generate the leverage over the regime and Russia needed to open up land crossings - an options paper produced by the US Administration makes precisely that point. Second, you can enforce Security Council resolution 2254 and protect civilians from indiscriminate bombardment, which remains the primary killer in Syria. Right now, Aleppo is being razed to the ground. But it is just one city of many that has been subject to indiscriminate aerial attacks. In January 2016, airstrikes by Russia and Assad accounted for at least 781 deaths, a staggering 98% of which were civilians, according to the Violations Documentation Center. That means Russia is guilty of war crimes. Contrary to the assertions of Russia and Assad, these airstrikes did not target ISIS terrorists—they overwhelmingly targeted civilians. Last month, airstrikes by Russia and Assad’s forces accounted for 70% of all civilian deaths in Syria, more than all other forms of killing combined. The United States and its allies can stop this killing and send a strong message to Assad and his allies that you will apply the pressure needed to reach a political solution to the Syrian crisis. Third, you can press the Syrian regime to release arbitrarily detained political detainees and make clear that a war criminal who is responsible for the deaths of at least 250,000 people, the worst refugee crisis of the 21st century, and the growth of terrorist groups like ISIS, cannot have a role in a future Syria. The Assad regime has committed war crimes and crimes against humanity on an historic scale. He must be held responsible for those crimes, in accordance with the principles of international law. Your Excellencies, the incessant brutality across Syria and the growing needs of our people demand that they receive protection from our allies. The United States, the United Kingdom, and France are not only in a unique position to save lives and protect civilians, they have the legal mandate and moral responsibility to do so. For the past five years, our allies have failed to uphold that responsibility. Now, some of our “friends” in the international community are even blaming the victims, implying that our appeals for protection are nothing more than whining. We emphatically disagree. Every day that our allies wait to take the necessary action to save lives, more innocent people die and more of Syria burns to the ground. We, as members of civil society, cannot in good conscience confine ourselves to humanitarian appeals, when the very survival of our people is in question. 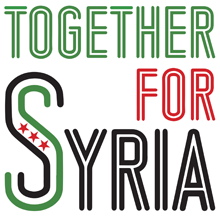 Today, we ask you to stand with the Syrian people and do what it takes to save our Syria.